Preschoolers and toddlers can watch almost 100 flags from all over the world in this video. 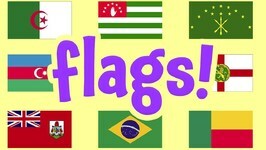 Learn about flags and which countries or organizations they belong to. More sight words! 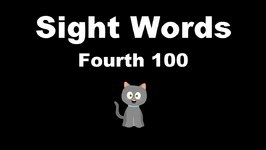 Learn the fourth 100 sight words with this cute cat. 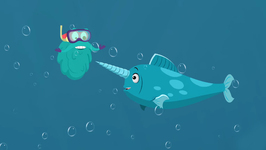 Hippy and Hoppy are back in Old Mac Donald's farm to learn about Counting Fish. Doesn't that sound so much fun. Hippy and Hoppy are in Old Mac D's farm. 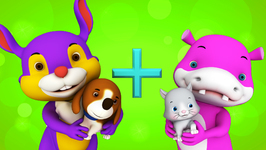 Here they learn simple mathematics with all the animals on the farm. In this video, they are going to learn how to count Ducks. Did you know that Orange Colored Fruits Keep the Eyes Healthy? 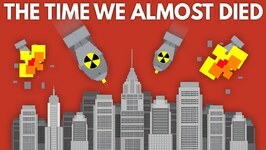 Shocking news, huh?! Well, they do! Our very own Hippy and Hoppy tells us that. 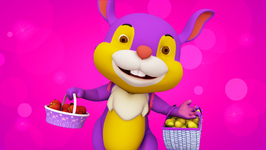 Keep watching Hippy Hoppy Fun Facts. Did you know really fun stuff that Apples Stay Afloat in Water? Well... Our very own Hippy and Hoppy find that out. 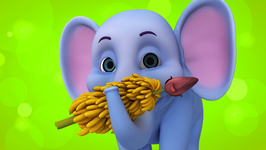 Well, did you know that your favourite fruit The Banana Do Not Grow On Trees? 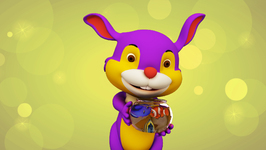 Find out from your favourite characters Hippy and Hoppy! 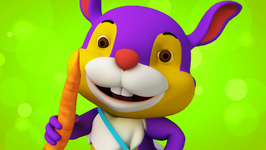 Hippy and Hoppy are here to teach us Simple Math in the most fun and interesting way. 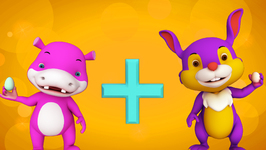 Watch Hippy and Hoppy Simple Math and learn all about Addition as you watch the ..
Our favorite Hippy and Hoppy are back with their Magic Pencil. They are going to teach us simple math in the most fun and interesting way. 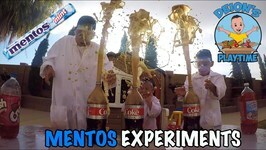 Today we do the Mentos and Soda Experiment, using Coke, Diet Coke and testing a lot of other sodas with Mentos candy! 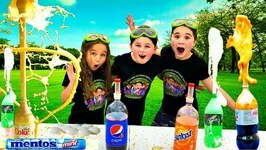 We want to see what soda causes the BIGGEST reaction ..
Deion, Dominick and Damian have some experimental fun with some mentos and 7 different flavored sodas. 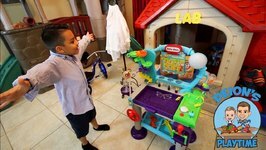 Deion and Dominick are provided with Wonder Lab from Little Tikes.They try different experiments and fun games. 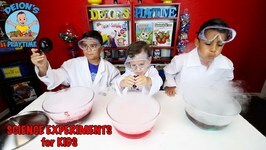 Deion's Playtime tries some fun science experiments with dry ice, food coloring and soap. 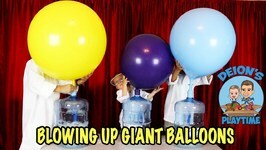 We try to blow up some bigger balloons with Vinegar and Baking Soda. 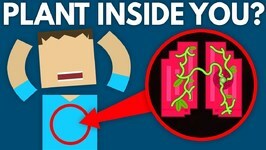 Deion's Playtime has another science experiment video. 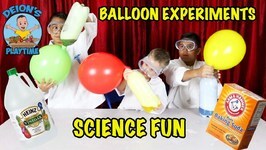 this time we try and blow up a balloon with vinegar and baking soda. Glowing Oobleck Slime Science Experiment! 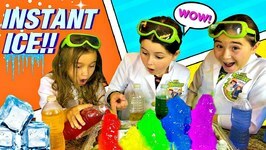 Super Easy Science Experiment for Kids! Today we are mixing science with magic glowing goo! Wait. 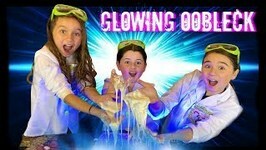 GLOWING OOBLECK SLIME Science Experiment! 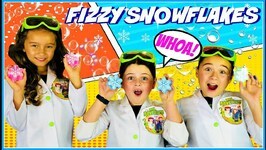 Frozen Activities: Learn How to Make Disappearing Fizzy Snowflakes with this Science Experiments and kids fun activities. Watch more: What Would Happen If All The Bugs Died? What if you were forever stuck in the aging process? Could you actually stay looking young for the rest of your life? What problems would you face if you had a growth ..
Today, we are going to show you how to turn water into instant ice in our super fun experiment! 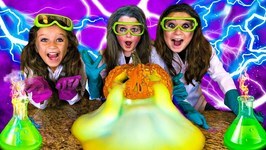 This experiment is fun for the entire family and youll be amazed how the ..
Oozing Pumpkin! Cool Halloween science experiment with the 3 Mad Scientist!! Get ready to watch this pumpkin ooze elephant toothpaste style with this super fun and a ..
Hey kids, did you know there are over a million species of animals in the world! And scientists are still finding new species in the great forests and the vast oceans! In ..